A Federal judge ruled a halt to most, not all, family separations at the border. However, the Inspector General of the Department of Health and Human Services (HHS) reported that not only were “thousands” more migrant children separated by the Trump administration than previously known, but that they didn’t even know how many children were taken away from their families because of failures to track families as they were being separated! We must ensure that the Trump administration does not respond to calls to reunify ALL children with their families by incarcerating asylum seeking families. Trading family separation for family jails is not the solution. Imprisoning children with their families is still imprisoning children. Children deserve to be with their families outside of cages and they deserve to have their rights protected. Join us today in writing a Letter to the Editor to tell elected officials to say NO to family incarceration. The Inspector General of the Department of Health and Human Services (HHS) reported that “thousands” more migrant children separated by the Trump administration than previously known. As we call on the administration to reunite all the children separated from their parents at the United States border, we must also ensure that the administration gives children and families due process. Proposing to reunite children with their families and then imprisoning them for months or years in jails or detention centers is no solution, nor is forcing them to return to the violence and danger they risked their lives to flee. There are alternatives to family detention that keep families together. For example, asylum-seeking families could be released from detention through a case management supervision program that costs just $36 per day, as opposed to family detention, which costs $798 per family, per day. Detention, even with families, is traumatic for children and can have long term health and developmental effects. Studies show significant impacts on children held in detention, including: depression, post-traumatic stress, increased rates of anxiety, heightened risks of self-harm, developmental delays and negative impacts on the parent-child relationship. Family incarceration is inhumane and expensive. The Family Case Management Program cost only $36 per family, per day. 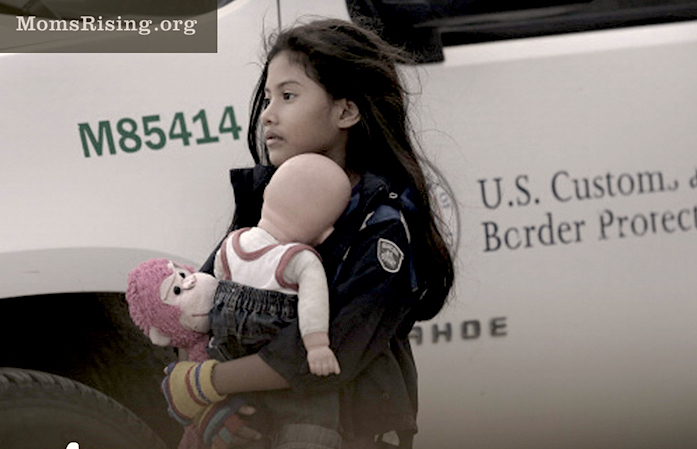 In comparison, family detention costs on average $798 per day for a family (2.5 individuals). How we treat new immigrants reflects our commitment to the values that define us as Americans. We believe that families should stick together, that we should look out for each other, and that hard work should be rewarded. The same is true today as it has been throughout history: People move in order to improve life, and we believe that moving to make a better life for your family is one of the best things and one of the hardest things a person can do. Asylum-seeking families who have made this hard decision deserve a fair immigration process where they are kept together and given due process as their cases are heard. Refer to a recent event in your community or to a recent article if possible – make a connection and make it relevant. Keep your letter to between 200 and 250 words. Make sure your most important points are in the first paragraph.